The hospitality of Ifigenia who did her best to help us. Room very extremely clean and spacious, simple but comfortable. The location is excellent in a nice little street with no noise close to the center. On the last day Ifigenia was not waiting for other guests for that room so she offered us to keep the room till few minutes before leaving for the airport, at 6.30 in the afternoon. We love owner Ifigeneia! She's incredible. Great location. Two balconies. Perfect for sailors like us. The staff were lovely, the location was excellent. I had an attic apartment which was perfect for me, so I could have the doors open all night and didnt need to use the air con. Really enjoyed my stay, even the church bells and I loved the priest's singing for the special ceremony. Very nice place, very very nice host, she was always helpful and polite. The street that the hotel located is so peaceful and happy. Rooms are big and comfortable. Staff great, hostess walked out to meet us as we walked from the ferry port. Great studio in a very nice location. Great value. Don't hesitate to stay here! 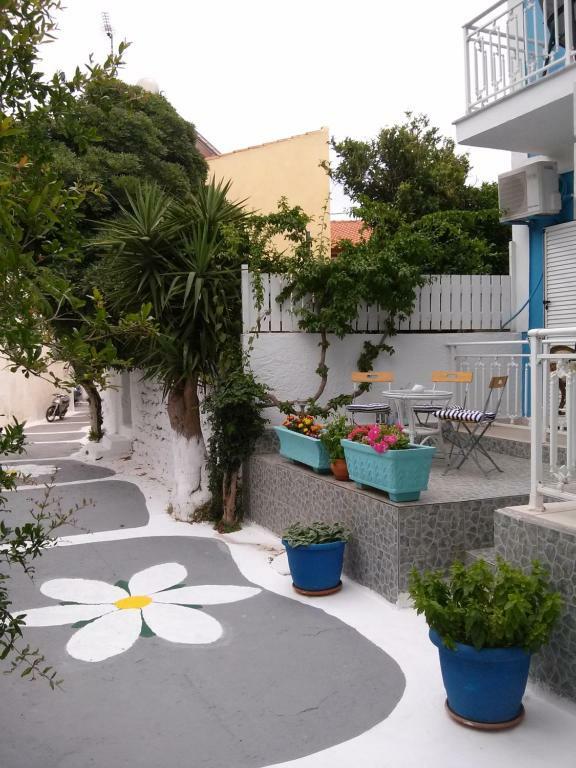 Tranquillity and stillness in a beautiful home one street away from a lively marina and one street away from a wonderful shopping street.Ifigenia is a lovely friendly girl. Ifigenia was very nice, was always available. The location is great, the tiny street the studio is located at is decorated with lots of plants and other little details. The studio itself was spacious for one person, very clean, TV, AC, Wifi, etc. The room was as it said, comfy beds, and chairs on balcony !! clean, lovely host. The location was great, Was allowed to stay until departure time, nothing was to much trouble !. Will be back. Lock in a great price for Studio Ifigenia – rated 8.7 by recent guests! 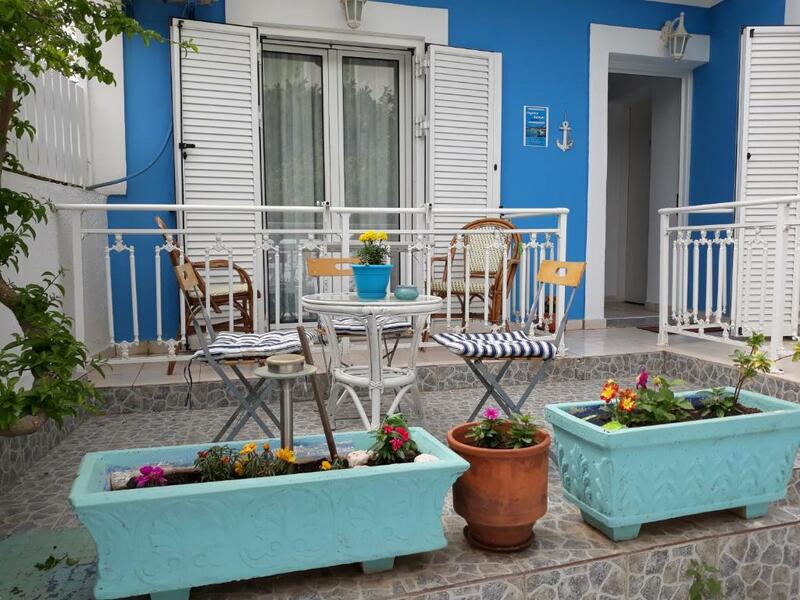 Featuring free WiFi and air conditioning, Studio Ifigenia is centrally located in Pythagóreion. At 164 feet, an array of seaside restaurants and bars is found. Free WiFi is provided. A refrigerator and stovetop are also offered, as well as a kettle. Bed linen is featured. Studio Ifigenia also includes a sun terrace. The surrounding area features several supermarkets and shops. Church of Virgin Mary of Spilianis is 1,950 feet from Studio Ifigenia. Samos Airport is 1.9 mi from the property, while the port is 9.3 mi away. Within 492 feet, you can also reach the small port of Pythagoreio connecting Samos with the neighboring islands. When would you like to stay at Studio Ifigenia? Opening to a balcony, this air-conditioned studio comes with a kitchenette, TV and free WiFi. The bathroom is stocked with a shower. Opening to 2 balconies, this air-conditioned studio comes with a kitchenette, TV and free WiFi. The bathroom is stocked with a shower. This air-conditioned studio comes with a kitchenette, TV and free WiFi. The bathroom is stocked with a shower. 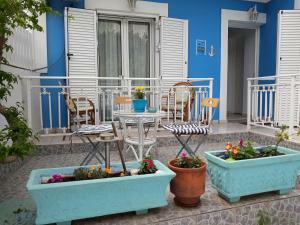 Studio Ifigenia is located in the center of Pythagorion in a quiet small traditional street. All rooms have a / c, TV, kitchenette with fridge, bathroom with shower and balcony. Free wi-fi is provided in all rooms. 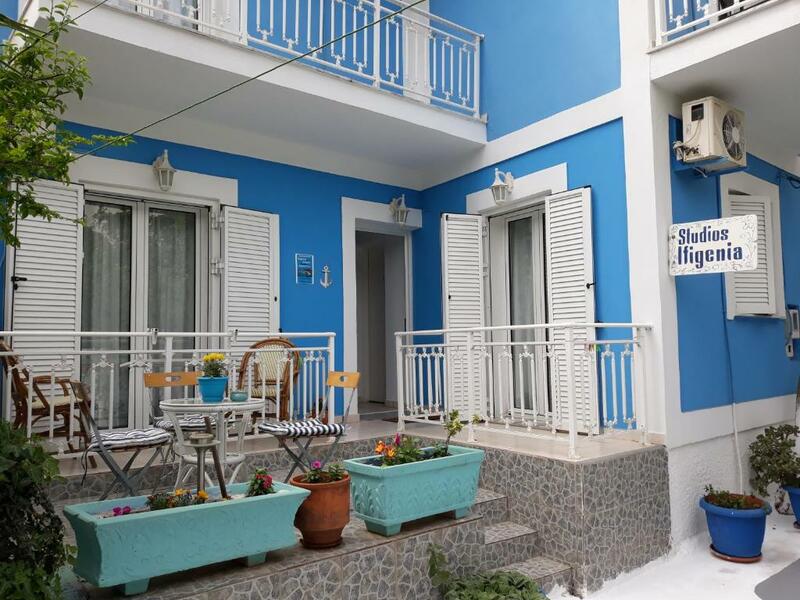 Studio Ifigenia is 100 meters from the harbor where all the bars and restaurants ,100m from the main street that is all Super Market and the shops. At the 100m is the nearest beach. The airport is 3km away and in 150m is the small port of Pythagorio which connect Samos with the small islands.The port of Samos is 15km away. House Rules Studio Ifigenia takes special requests – add in the next step! Studio Ifigenia accepts these cards and reserves the right to temporarily hold an amount prior to arrival. Please inform Studio Ifigenia of your expected arrival time in advance. You can use the Special Requests box when booking, or contact the property directly using the contact details in your confirmation. Only down side was the lack of more then one frying pan, and only one big cook pot, no cooking utensils, I managed but would have struggled if there for more days. There was a constant smell in our room and I believe it was from the bathroom area that crept into our room. This was rectified by closing the bathroom door. The shower was the tiny and suffocating as the shower curtain tended to stick to you when it got wet - if you drop the soap you are in all sorts of problems. If the shower curtain was not positioned correctly the bathroom floor would flood. Size of room and bathroom. It’s a little hard to find. We had to ask around but people knew the place and pointed us in the right direction. The air conditioning was so loud that it could not be used. We couldn’t open the windows as guests either side of us smoked. Disappointing as we made a point of no smoking upon booking. The property is tricky to find . The π2 coffee bar next door is well worth a visit. Location in central Pythogorio. The manager met us on arrival and showed us to our he room. She also responded to my request for a hairdryer- they too have a problem with them being stolen!!. Charming room in a nice building at a very good rate. There are many parts in the room which requires a periodic repair. Especially the hangers in the bathroom and the shower. Former costed me a perfume bottle and the latter costed me small electric shocks while taking the shower. Shower cabin was blocked from the first day onwards. The aspirator right above the hot plates were not working. And finally the owner took an unexpected rude attitude, though she covered the cost of perfume. She seemed friendly though in the beginning, but I remember she was the first host who left immediately after leaving keys to us, without giving any local tips about Pythagorion. There could have been a small saucepan and a bit more cutlery. It was Ok for me because I was on my own but for 2 people it could have been a problem. When I arrived the fridge was turned right down and I didnt realise this for 24 hours. Fortunately nothing was ruined.